I wanted to create a scenette for my baby bear, for that I used the die winter wishes landscape to do the front with the pine trees. 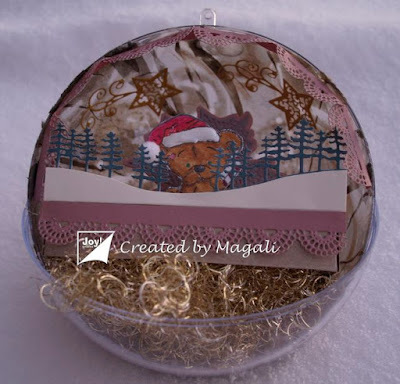 On the opened ball you can see better the lace border I did glue all around, the christmas stars in the background. 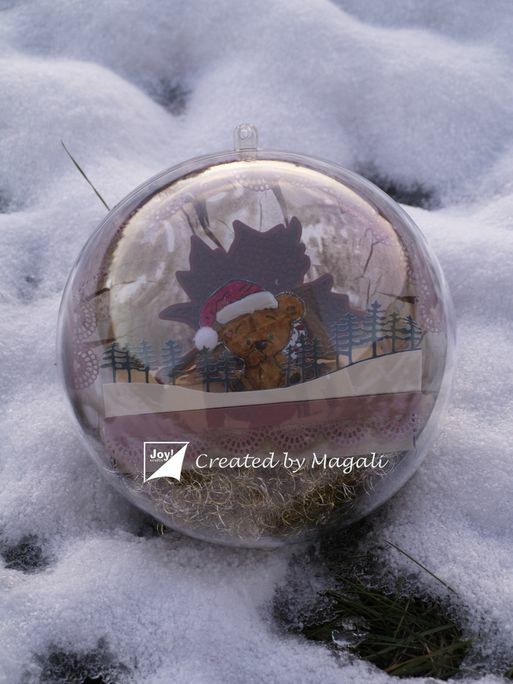 I did glue angel hair at the bottom of the ball. 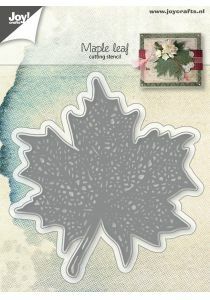 Finally, behind the bear, I did glue the mapple leaf, so you can see the bear better with this background.